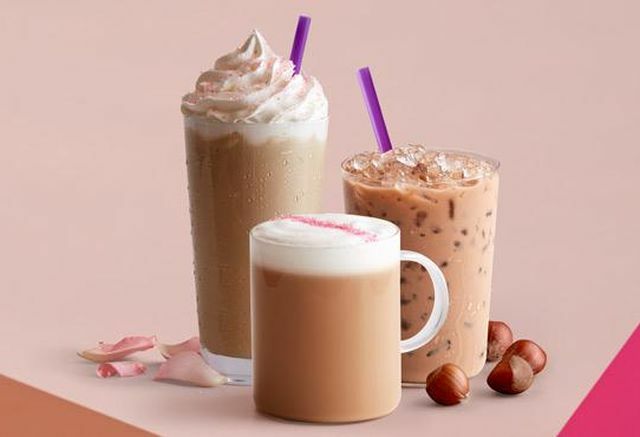 The Coffee Bean & Tea Leaf introduces new winter beverages to the menu as well as a couple of protein-laden food items. - Rose Hazelnut Latte - Hazelnut and rose flavors mixed with espresso and milk. You can get it hot, iced, or as an Ice Blended. - Houjicha Hazelnut Tea Latte - Charcoal-roasted Japanese green tea with hazelnut flavor. You can get it hot or iced. The seasonal beverages are available through March 12, 2019. Returning to the menu is the Flat White, which features an extra shot of espresso (versus their latte) and lightly-aerated steamed milk. - Egg White Frittata - Egg whites combined with fresh spinach and cheese. - Mixed Berries & Granola Parfait - Plain Greek yogurt, mixed berries, and granola.